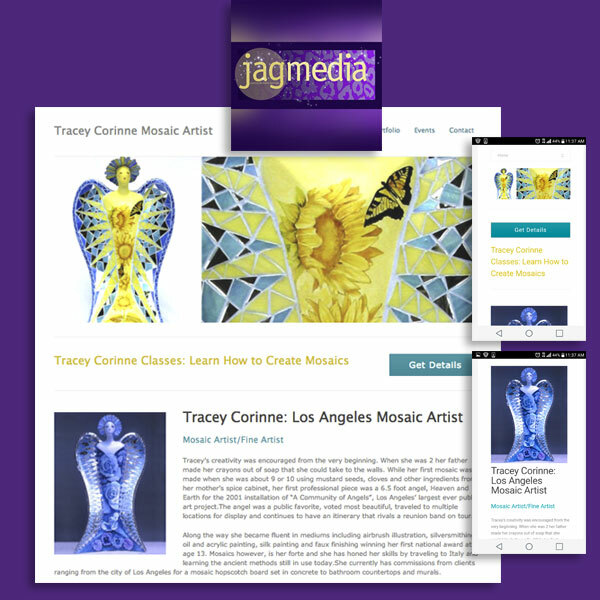 This WordPress Website showcases the mosaic art of Los Angeles Fine Artist, Tracey Corinne. There is a selection of her artwork, from large scale sculptures to interiors projects by this talented artist. Her website is mobile friendly and utilizes Calls to Action, such as an Email Subscription popup form, getting details on classes and social media follow buttons. Jagmedia created her email design on the Mailchimp platform that has a consistent look and feel, aligned with her website.